Newsgur USA: Does Neymar risk missing the World Cup? Does Neymar risk missing the World Cup? Brazil and PSG star, Neymar, has a more serious injury than he was supposed to, with a sprained ankle and a fissure in one finger, as announced in PSG’s medical statement after the worrying injury suffered by the striker. Everything indicates that the rematch for the Champions against Real Madrid will be lost, but he could also risk and compromise his participation in the World Cup. 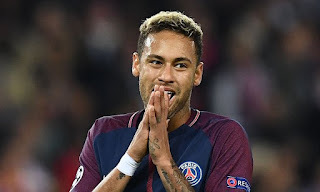 The nightmare they feared so much in Paris Saint-Germain became a reality: Neymar suffered a major injury and it is very difficult for him to be in the rematch of the Champions League against Real Madrid. That was the story some days ago. The medical part was even more serious than it was speculated. As reported by PSG, the Brazilian crack suffered the expected sprain in the right ankle and, in addition, a fissure in the fifth metatarsal of the right foot. As one may expect, everything indicates that the figure of the Parisian club will not play the second leg of the Champions League game against Real Madrid on March 6, since the recovery would demand much more than that: it is about three weeks. In this regard, the club did not give an advance but just limited to explain his injury. The coach of the Parisian team, Unai Emery, had stated that he was optimistic and that he was confident that the Brazilian could play the decisive clash of the Champions League against the white club. Well, he better think of Plan B. Nevertheless, the problem is that this issue exceeds the interests of PSG. If Neymar risked his physique, he could even compromise his World Cup. The pressures of Brazil are important in these days, as they are not willing to lose their greatest figure. The doctor of the Brazilian national team, Rodrigo Lasmar, pointed out that the degree of the injury of the Brazilian is more serious than initially said, affirming to O’Globo that it is not a fissure, but a fracture, and that the athlete will out of play between two and a half months, or three months. "The best solution is an operation, conservative treatment leads to a relapse in the short term," said the doctor. "A fracture like that sometimes seems invisible as it happened with Neymar, the best and only solution is the operation because conservative treatment leaves you open to the possibility of a relapse in a short period of time, we cannot take that risk," he concluded. Thus, Neymar will be operated this Saturday in Belo Horizonte, and his recovery could be planned for the end of May with just enough time to face the start of the World Cup, which for Brazil is on June 17 against Switzerland. May 26th is the final of the Champions League, which, in case the PSG arrived, it is not known if he will be able to dispute.